Welcome to Azalea Montessori School. We provide an authentic Montessori education for children preschool-kindergarten (ages 3-6) in Norwood, Ohio. Azalea Montessori is a member of the Wildflower Network of schools. Wildflower is an ecosystem of decentralized Montessori micro-schools that support children, teachers, and parents. Wildflower aspires to give all children and families the opportunity to choose high quality, beautiful learning environments as they follow life’s unfolding journey. At Azalea Montessori School, we believe that all children are naturally eager and inquisitive learners that thrive in a supportive and thoughtfully prepared environment. Through an intentionally small school, we invite strong relationships between teacher-leaders, parents and families, and community partners. – Our approach is child-centered and values the development of the whole child-social, physical, cognitive and socio-emotional. – Our environment is beautifully and carefully prepared with specialized Montessori materials in the areas of practical life, sensorial, language, math and art. Working with these sensory-motor materials develop children’s cognitive skills through direct experience: seeing, hearing, tasting, smelling, touching, and movement. – Children are given the freedom of movement and the freedom to choose work. An uninterrupted work time allows the child to develop concentration. – Children work independently while the teacher introduces new materials and lessons through individual and small group presentations. – A focus on Grace and Courtesy creates a peaceful and caring community. We are conveniently located near I71 and I75 in the city of Norwood, in the heart of the Greater Cincinnati metropolitan area. Our space is currently under construction as we work to create a beautiful Montessori classroom for our families. Connect with us on Facebook and we will keep you updated on the progress! Arrival time: 8:15 a.m. – 8:30 a.m. Dismissal time: 3:00 p.m. – 3:15 p.m.
We offer a nature-based after school (extended day) program: 3:00 p.m. – 5:30 p.m., Monday – Friday. 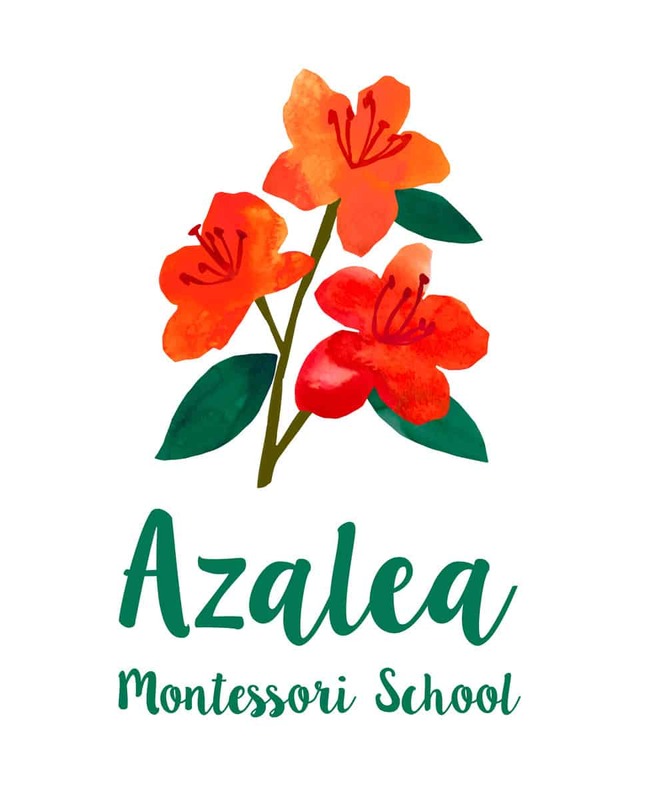 Please visit our Facebook page to keep updated on what is happening with Azalea Montessori! Our school year runs from September 3, 2019 to June 5, 2020. Winter Break is December 21, 2019 – January 3, 2020 and Spring Break is March 30, 2020 – April 3, 2020. Additional holidays observed are Thanksgiving Day, Martin Luther King Day, Presidents’ Day, and Memorial Day. We have parent teacher conferences in October and May to collaborate on your child’s development. Azalea is currently accepting applications for the 2019-2020 school year. In order to get to know you and your family, we are hosting small (2-3 families) coffee chat information sessions twice a month. We would love to meet you and talk about Montessori, Wildflower and Azalea! 1. Attend a Parent Information Session to learn more about Azalea Montessori and its affiliation with the Wildflower Schools Network. 2. Please fill out an application. Please click here for our online application. Please contact an Azalea teacher-leader to request a paper copy. 3. Once your application is received, a Teacher Leader will be in contact with you to set up a time to meet (if you have not attended a previous coffee chat session) and a time to visit the school when renovations are complete. 4. After this meeting, you will continue with the enrollment process. A $50 registration/supply fee is required upon receipt of all enrollment materials. Azalea Montessori School admits students of any race, color, gender, nationality, and ethnic origin to all the rights, privileges, programs, and activities made available to students at the school. The school does not discriminate on the basis of race, color, gender, nationality or ethnic origin in administration of the educational policies, admissions policies, scholarship programs, and other school-administered programs. Our 2019-2020 full day tuition rate is $7,900 which is consistent with other private Montessori schools in the area. Other Montessori school’s tuition rates range from $6,849 to $12,450 for both full day preschool and kindergarten. We do offer full day part time options. If you are interested, please contact us for rates and availability. After care tuition is $75/week for full time 3:00 p.m. until 5:30 p.m. The tuition rate for Azalea is intended to be an “all inclusive” rate and will not add lots of extra fees or additional donations on top of the tuition rate. Financial transparency is important to us, so please know that whatever the tuition rate, it will be the true cost of educating your child. At Azalea Montessori School we believe educational opportunities should be available to families in our community regardless of financial means. Our goal is to create sustainable pathways that provide at least 30 percent or more of our school population with tuition assistance based on financial need. Azalea Montessori is the first Wildflower School in Ohio, and our aim is to be an experiment in a new learning environment. Our network is supported by a foundation that works to build capacity, systems, tools and research to grow and strengthen the network. It is our hope that we will be the start of additional Wildflower schools opening in the Cincinnati area. Wildflower Montessori began as the labor of love of our founder, Sep Kamvar. Unable to find a school which combined Montessori education, an inclusive family environment, and a small, responsive school size, Sep was inspired to create his own with veteran Montessori teachers in Cambridge, Mass. In 2016 Sep worked establish the Wildflower Foundation, an independent nonprofit organization that builds platforms to support the growth and development of Wildflower Schools. Our schools are small and teacher-led, with deep parent engagement.